US Secretary of State Rex Tillerson was right this week to highlight Bahrain's anti-Shia discrimination. Speaking at the release of the 2016 International Religious Freedom Report, Tillerson correctly noted that "Where religious freedom is not protected, we know that instability, human rights abuses, and violent extremism have a greater opportunity to take root." He said he wanted to "call out a few of the more egregious and troubling examples" in his speech at the event, and cited ISIS, China, Turkey, Saudi Arabia and a few others, including Bahrain, where he said "the government continued to question, detain, and arrest Shia clerics, community members, and opposition politicians. Members of the Shia community there continue to report ongoing discrimination in government employment, education, and the justice system. Bahrain must stop discriminating against the Shia communities." Public criticism of Bahrain by the State Department has been rare lately, but Tillerson is right that ongoing discrimination against Bahrain's Shia majority population is a dangerous policy. Bahrain is governed by a ruling anti-Shia family, where the king's uncle has been the unelected prime minister for over 40 years. There is widespread institutional discrimination against the Shia community. As the new report notes, "The government-run television station continued to air Friday sermons from large Sunni mosques, but not sermons from Shia mosques." The Shia population is effectively shut out of key government posts, and is barely represented in the kingdom's security forces at all. It's an issue we've long highlighted, and one Washington has understood to be a serious problem for some time. Former US War Secretary Bob Gates says he told the king of Bahrain in March 2011 to take urgent steps to reform, including to "move forward in integrating the Shia into the security services and the Bahrain defense force...."
As part of Bahrain's 2017 Universal Periodic Review at the United Nations Human Rights Council, the US government recommended that Bahrain "Create a more diverse, inclusive police force, reflective of society." This lack of diversity contributes to an anti-Shia mentality in the country's security services, manifest during the interrogation and torture of detainees. Over the last few years I've spoken to dozens of people attacked and tortured in custody in Bahrain. Anti-Shia sectarian abuse is a standard part of the abuse they've received. There are many ways the US government can use its influence with Bahrain to push for an end to sectarianism, including increasing the rhetorical pressure, conditioning arms sales on reform, and reviewing the training it offers to Bahrain's police and military. Documents obtained by Human Rights First under FOIA show that participants on a 2015 US government training course came from Bahrain's CID and the Southern and Capital Police Stations. Human Rights First has recently obtained documents from the US State Department under the Freedom of Information Act, showing that in May 2015 the State Department ran a 12-day course on Combatting Domestic and Transnational Terrorism, which included 15 members of the Bahraini security services. 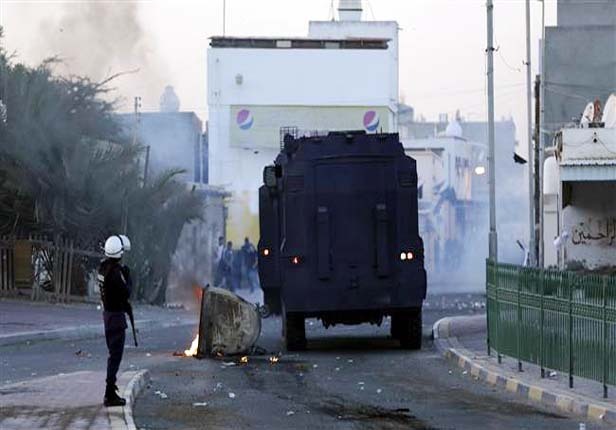 The 15 Bahraini participants included those from the notorious Criminal Investigations Directorate [CID], the Southern and Capital Police Stations, Financial Intelligence and the Joint Counter Terrorism Center. The course blurb says it was designed to "enable the participants to develop proactive investigative and law enforcement intelligence techniques for combatting terrorism." All 15 Bahrainis were male, and there is no breakdown of their ranks. Nor is there any indication of how many were Shia. Bahrain's security services do not publish figures on the proportions of Sunni/Shia/Other in their forces, but the US government could make clear that future training will be dependent on a reasonable diversity of sect representation. This might sound a crude way to force the Bahraini government to recruit more Shias, but Northern Ireland's experience shows that a concerted effort to engage with a community historically discriminated against by the police can work. With expertise and technical help from the US government between 2001 and 2011, the police service in Northern Ireland increased its Catholic representation in the force from 8 per cent to almost 30 percent. Washington should insist that future trainings for Bahrain's security forces depends on a commitment to integration and an end to anti-Shia discrimination.